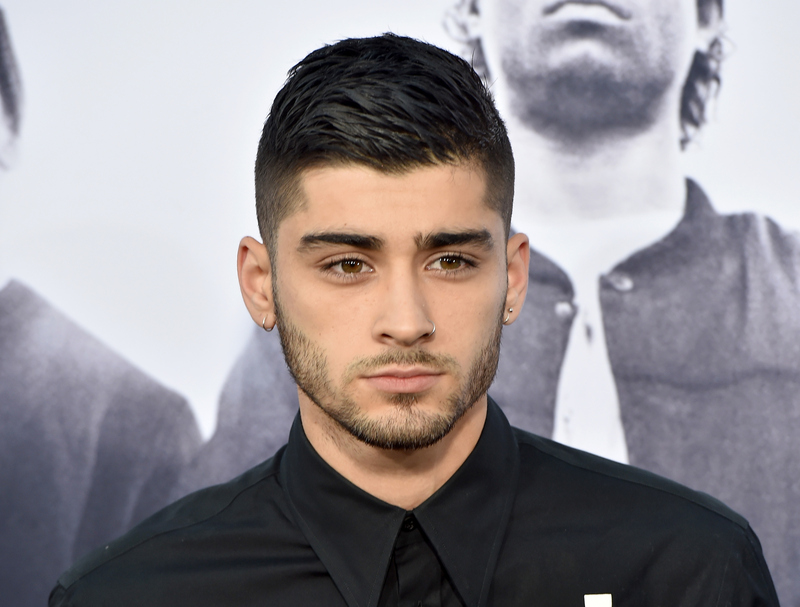 In September, fans got a lovely surprise when Zayn Malik announced he was releasing an autobiography. Now, Zayn is out in stores and excerpts from the book have started hitting the internet. Amongst discussing his relationship with One Direction and struggles with staying healthy while in the band, Malik opened up about his pride in his family and his Pakistani heritage, and he explained how his song "Intermission: Flower" is a tribute to just that. When his first solo album Mind of Mine came out, like many fans, I was struck by "Intermission: Flower", first for its beautiful guitar melodies, and second, because he was singing in Urdu, his father's native tongue. While I didn't understand the lyrics, there was something special in the way he sang those words. Now, in his book, Malik has opened up more about the song being was written for his father in a touching story that really shows how important faith and family are to him. When the album came out, the song's producer, Malay Ho, gave some insight to Entertainment Weekly about the creation of the track, and said, "His relationship with his dad and his whole family is super important — especially his dad... 'Flower' was inspired by his father’s culture." I've never heard Malik open up so much about his father. It's a nice to see how he found his place in pleasing his family and his father while still being true to himself — something that is obviously important to him. "Malay and me were spending an afternoon sitting around the pool at the Beverly Hills hotel... Malay had his portable recording rig with him and the pair of us were talking about the Pakistani musician Nusrat Fateh Ali Khan. I was really into him, because my dad had played his music a lot at home; I loved that the dude sang in Urdu, for one thing. A lot of people who know his music reckon he was one of the greatest artists of all time." In his EW interview, Malay shared that the song was essentially just one take. “Afterward, he told me he was in a super spiritual place, and that the saying is something one of his family members had told him that had always stuck to him," Malay said of the lyrics. In his book, Malik translates the lyrics to the song as "Until the flower of this love has blossomed / This heart won't be at peace / Give me your heart…" Malik clearly had a lot on his mind and speaking about his family and heritage really took him to a special place and it is evident in the song. "I heard talk that his nephew wanted to perform with me, to do a gig somewhere in India...Doing something with him — anything — would be an honour. Fingers crossed we can make it work." Being that this song and his heritage are so important to him, it would be incredible to see Malik explore these opportunities. He's truly becoming an influential, young, and boundary-breaking artist.